1-room apartment 22 m2 on 16th floor, north facing position. 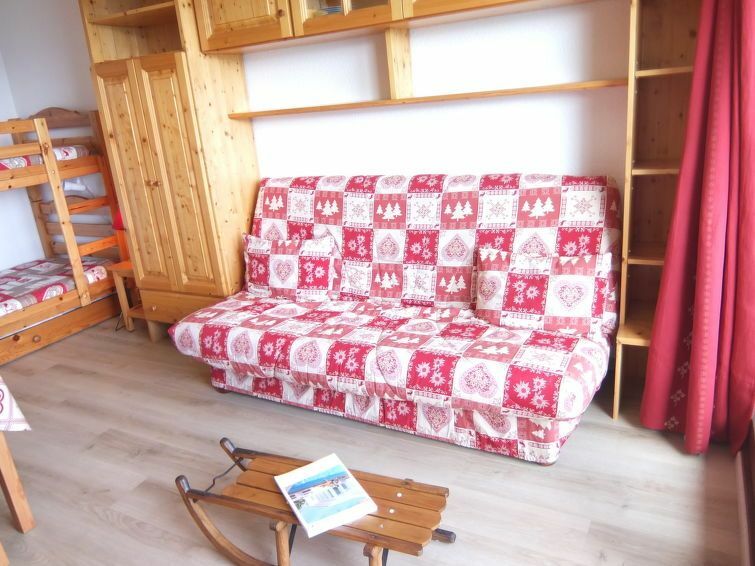 Comfortable and beautiful furnishings: living/dining room with 1 double sofabed (1 x 130 cm, length 190 cm), 1 x 2 bunk beds (90 cm, length 190 cm), TV (flat screen), radio. Exit to the balcony. Kitchenette in the entrance (oven, dishwasher, 2 ceramic glass hob hotplates, microwave, freezer, electric coffee machine, Capsules for coffee machine (Senseo) extra). Shower/WC. Electric heating. Balcony. Balcony furniture. Beautiful view of the mountains and the valley. Facilities: baby cot for up to 2 year olds. Internet (WiFi, free). Please note: non-smokers only. 1 small pet/ dog allowed. Smoke alarm. Mooi ingericht en proper apartement. Ideale liging op loopafstand van alle winkels en de skipistes.